Monterey Skate Park June 23. Marina Skate Park August 25 & October 20. The one and only monthly skateboarding event on the Monterey Peninsula is back for the third consecutive year. 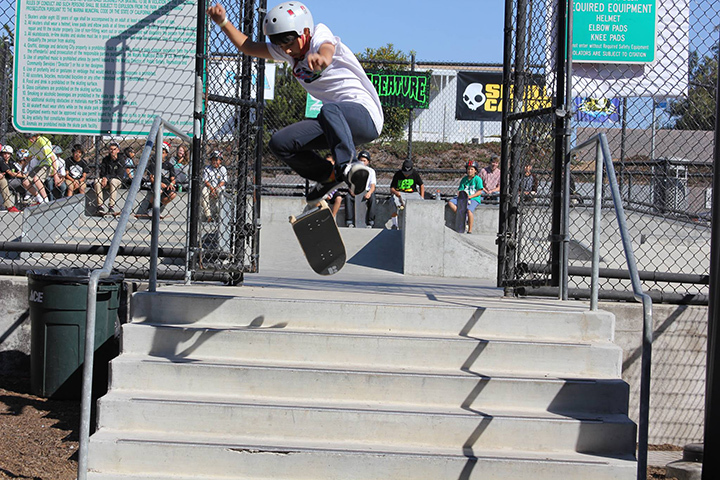 Since 2007 OTB Skate Jams have transformed from a small event to a full-blown contest. With a live DJ, food, drinks, product tosses, and occasionally demos, and games of skate. We invite the Monterey Community to come out and ride. Riders in the 8-under age group will have (2) 1-minute runs with the combined scores determining the winners. For ages 9-12, 13-15 and 16+ riders will have (2) 1-minute qualifying runs with the combined scores determining the 6 finalists. The 6 finalists will then have (1) additional 1.5-minute run to determine their standings. Each age group contest will be preceded by 15 minutes of warm-up time. The top 3 riders from each age group will be awarded special prize packages with product from OTBSK8 as well as our numerous sponsors including Vans, DC, Vox, Think, Hubba, Lucky, DGK, Expedition, Organika, Girl, Chocolate, Real, Anti-Hero, Krooked, Mystery, Zero, Alien Workshop, Habitat, Toy Machine, Foundation, Matix, DVS, Santa Cruz, Creature, Flip, Almost, Enjoi and more! Over $1000 in prizes are awarded EVERY jam! Product toss for anyone and everyone following the 13-15 age group competition. Helmets are required for all riders. The park is closed to the general public during skate jams. ONLY registered participants and authorized staff are allowed entry into the park. Warm-up time is reserved for riders in the upcoming age group ONLY. At the Marina Park, all other riders are encouraged to skate the pool area, which remains open to riders throughout the jam. Do not sit or stand in anyone’s way. Nothing ruins a run like someone sitting on the ledge you’re trying to skate. Prizes CANNOT and WILL NOT be traded at the shop for other merchandise. For any questions, comments or suggestions contact us on our Facebook wall or call the shop at (831)-646-9283.